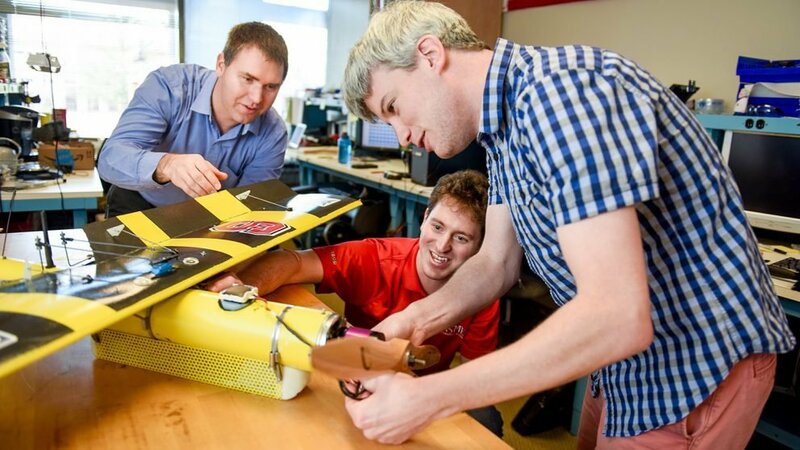 The project started when a team of four NC State faculty, led by Matthew Bryant, an assistant professor in NC State’s Department of Mechanical and Aerospace Engineering, won a research contract from Teledyne in 2014. Professors Kara Peters, Ashok Gopalarathnam, and Larry Silverberg served as co-principle investigators on the project. By spring of 2016, Bryant’s team had developed a fully functional prototype – and they published a paper on the work in 2017. 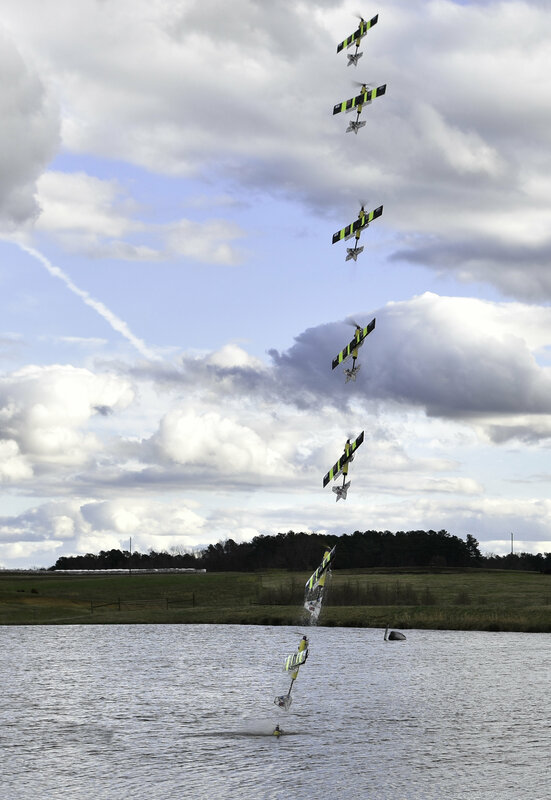 The paper, “Testing and Characterization of a Fixed Wing Cross-Domain Unmanned Vehicle Operating in Aerial and Underwater Environments,” is published in the IEEE Journal of Oceanic Engineering.